(Seychelles News Agency) - The Supreme Court of Seychelles has remanded for 13 days four suspects being detained in connection to the seizure of over 2.5 kg of heroin last month. Three of the suspects were arrested by the Anti-Narcotics Bureau (ANB) on March 26 after drugs were discovered in a house at Perseverance 2, a residential area on reclaimed land, on the outskirts of the country’s capital, Victoria. A fourth person, the spouse of one of the two women suspects, reported to the ANB two days later in the presence of his lawyer. He is also in detention. The offences under the Misuse of Drugs Act 2016 are trafficking of a controlled substance and conspiracy to traffic a controlled substance. On Friday, the public prosecutor, Jayaraj Chinnasamy, requested that the four suspects be remanded in police custody as the investigation into the matter was ongoing. He also requested that the court consider the seriousness of the offence, which carries a sentence of life in prison, and not to release the suspects on bail, as they might tamper with evidence or abscond to evade justice. Chinnasamy also informed the court that forensic tests done on the suspected drugs seized at the house at Perseverance 2 confirmed that it was the illegal drug heroin. He told the court the drug weighed 2.516 kg with a purity of 676 grammes. The prosecutor also requested that the four suspects be kept separately. Presiding over the case, the Seychelles’ Chief Justice, Mathilda Twomey, said the four will be remanded for 13 days and requested that two of the suspects, who did not have legal representation, be assisted by the Court. The case is set for mention in the afternoon of Thursday, April 18. The importation of illegal drugs in Seychelles, an archipelago in the western Indian Ocean, remains a challenge for the authorities. 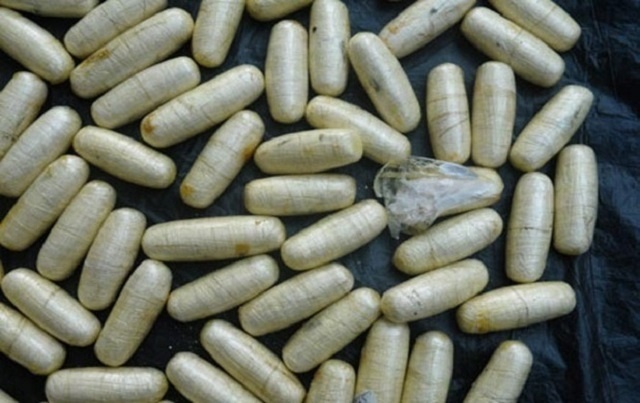 In July last year, the Designated Minister, Macsuzy Mondon, informed the National Assembly that the local authorities had seized 5.63kg of heroin in 2018. Mondon said that it is important to note that illegal drugs are entering the country through the port and airport. A survey on Seychelles Biological and Behavioural Surveillance of Heroin Users in 2017 indicated that there were around 4,800 who were using heroin, which represents 5.6 percent of the island’s population.